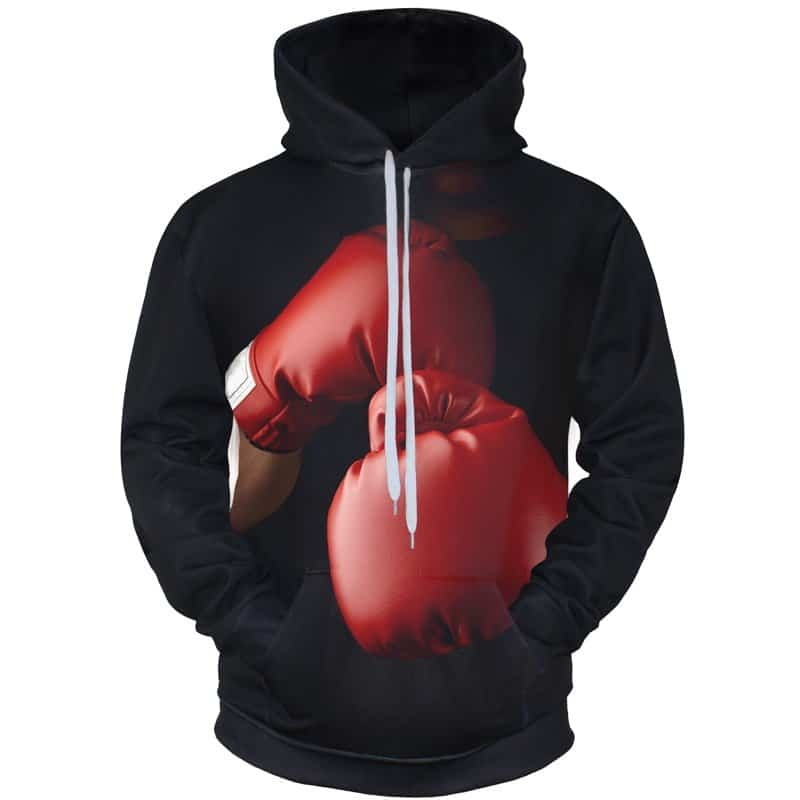 A full print boxing gloves hoodie. A simple yet stylish design of red boxing gloves placed on a black backdrop. Our boxing hoodie is one of our best sellers. The hoodie is comfortable to wear, looks fashionable and is wearable anywhere. It was designed for both male and female. Tag your photos with #boxing on Instagram.